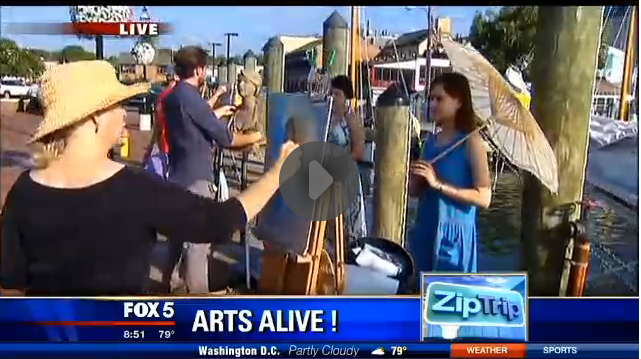 The arts in Annapolis was front and center in the Fox 5 News “Zip Trip” to Annapolis. Many thanks to MFA artists, including Candy Bigelow, Rick Casali, David Diaz and Andree Tuillier, who got up early to work on City Dock and in front of the cameras. 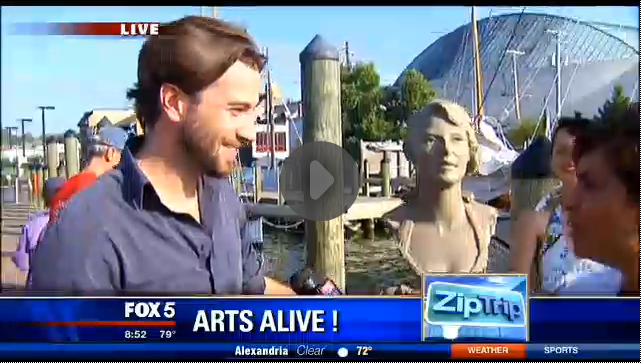 The segment on the arts also featured Linnell Bowen talking about Arts Alive, the Maryland Hall fundraiser tonight, McBride’s Gallery on Main Street and Annapolis Pottery on State Circle. MFA is proud to be a part of the thriving Annapolis arts scene – as the oldest artist organization in the state maintaining the oldest art gallery in Annapolis – and very proud of our artists who got up early to promote the arts in Annapolis. Watch the clip HERE, which includes a few of our members being interviewed.